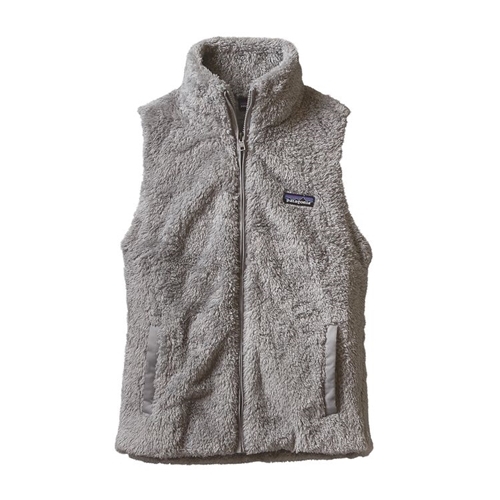 Patagonia Women's Los Gatos Vest is super soft and super cute. The Los Gatos Vest has a great feminine fit that is very flattering. The fleece on this Los Gatos vest is now made with 30% recycled material. It's a vest you can feel good about wearing and look good while wearing it. This Patagonia Women's Los Gatos Vest is extremely comfortable and feels so nice on your skin. I could literally wear this vest to bed it's so comfortable, so you surely need to get one too so you can enjoy the many features of this amazing Los Gatos vest for women sold here at the Platte River Fly Shop at a great price.